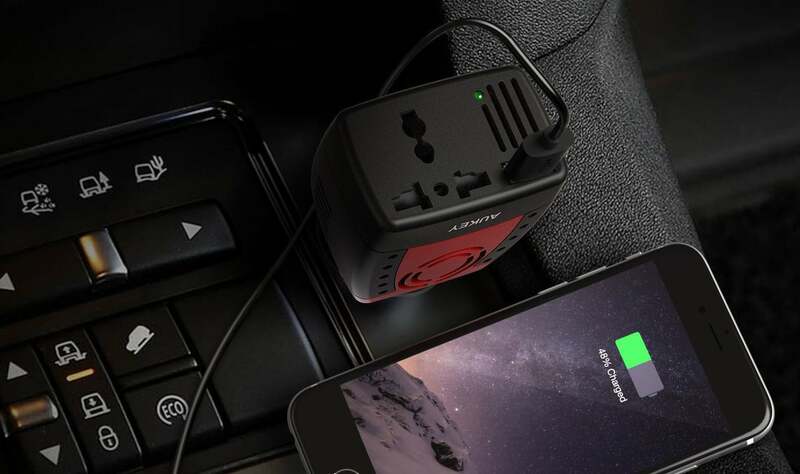 Amazon is offering the AUKEY 150W Power Inverter with Outlet for just $10 when you use promo code AUKCARP9. That’s a 50 percent discount and the lowest price we’ve ever seen. Inverters are great for when you want to charge up things such as laptops, tablets, or even your phone. It’s always good to have one too, and at just $10 bucks, this is a heck of a bargain. It also includes a single USB port which comes in handy when you want to charge smaller devices that don’t require nearly as much power.